The Summer 2014 issue of News and Reviews features films that engage the issue of complex individual and cultural identities in an increasingly globalized world. Hafu addresses the experiences of mixed-race individuals and families in contemporary Japan ("hafu" being the Japanese rendering of the English term "half," a term used to describe the increasing number of Japanese residents with one non-Japanese parent). The Mosuo Sisters traces the lives of ethnic-minority sisters as they try to make a place for themselves in modern China. Somewhere Between tells the stories of four girls born in China and adopted into American families. All explore issues of cultural and ethnic differences, negotiations of identity, and the quest for belonging in contemporary society. As the incoming editors for News and Reviews, we would like to thank William Londo for his wonderful stewardship of the publication for the past two years, and our reviews and readers for the ongoing support. We welcome your comments, questions, and suggestions. If you would like to see a specific film reviewed or would like to review it yourself, please do not hesitate to be in touch. Directed by Megumi Nishikura and Lara Perez Takagi. 2013. 87 minutes. In Japanese and English. Subtitled. Hafu: the Mixed Race Experience in Japan is an intelligent and insightful exploration of five stories of "hafus" living in Japan. "Hafu," the Japanese rendering of the English word "half," is a long-standing but debated identity category in Japan, referring to children born to one Japanese parent and one of a different origin. The term "hafu" gained currency in the waning decades of the twentieth century as the number of mixed-race children growing up in Japan began to skyrocket, and has been used ever since to segregate or to empower the mixed-race individuals it describes. As the film's concluding image suggests, the number of "hafus" in Japan continues to rise precipitously today, a trend that, as this film illuminates, suggests the importance for better understanding of mixed-race people and families in Japan. Filmed in the early years of this decade, Hafu provides, through interviews and footage of their everyday lives, nuanced portraits of people representing the breadth of "hafu" identity and experience. Directed by Marlo Poras. 2013. 80 minutes. In Mandarin/Mosuo/Tibetan. Subtitled. 25-year-old Juma and her younger sister Latso come from a Mosuo family, an ethnic minority with a population of only 40,000 residing around Lugu Lake in southwestern China. The sisters had been working in Beijing since 2005, trying an alternative way of life to support their poverty-stricken family. As rural-ethnic-migrant women in urban China today, however, their options were limited and met with mixed fortune. Juma sang in a Mosuo bar and Latso worked there during daytime and enrolled in an accounting class at night. The bar went out of business in 2009 due to the "global economic downturn," according to the bar owner, and led to Juma and Latso's unemployment in the capital city. The Mosuo Sisters by Marlo Poras follows them back to their village in Yunnan and looks closely at the lives of Juma and Latso in the ensuing year and a half, following them as they face the difficult task of reversing their outbound journey. Directed by Linda Goldstein Knowlton. 2013. 88 minutes. English and Chinese. Subtitled. Somewhere Between is a film about seeking: four teenage girls adopted from China seek to reconnect with their birth families and Chinese identities; seek to explore the unknown chapter of their earlier lives before the adoption; and seek to answer the essential, and sometimes difficult, questions shared among many internationally adopted children: "Who am I, and why am I here?" 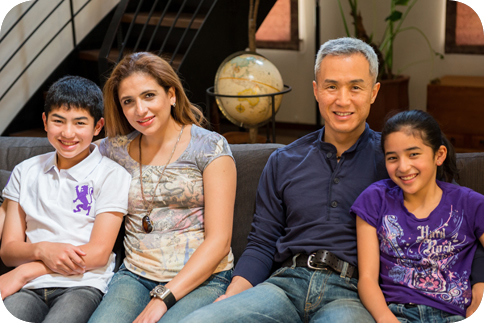 Fang (Jenni), Haley, Jenna, and Ann are four Chinese girls adopted by American families at a young age. Director Linda Goldstein Knowlton closely follows their unusual life journeys as they search for their pre-adoption lives and attempt to re-engage with their Chinese identities. 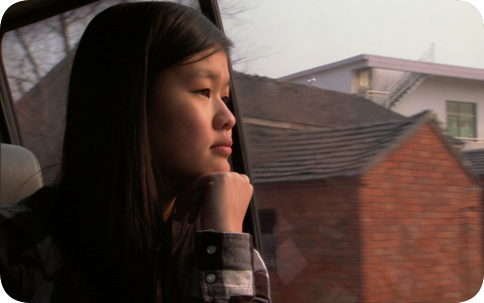 In front of the camera, these teenage girls describe from their own points of view how they make sense of being adopted Chinese children in American society and how their biological and cultural linkage with China may have impacted the way they connect with others and understand themselves. A film by Linda Goldstein Knowlton. 2012. 88 minutes. Post-screening discussion with Gehui Zhang (Doctoral Candidate, Department of Sociology). A film by Don Sellers and Lucy Ostrander, produced by Stourwater Pictures. 2013. 28 minutes. A film by Suzanne Concha Emmrich and Bilderall Emmrich. 2012. 29 minutes.